Joanna Foote Adler, PsyD, CHT, provides psychotherapy and hypnotherapy, for individuals and couples. She uses innovative techniques to treat a wide variety of issues including: anxiety, depression, trauma, grief, life transitions, negative family patterns, and issues related to childbearing: fertility, prenatal/postpartum depression and anxiety, birth preparations and recovery, and pregnancy/child loss. Joanna is a licensed clinical psychologist and certified Depth Hypnosis Practitioner. She has studied extensively in the fields of Depth Hypnosis, Buddhist Psychology, Shamanism, and Energy Medicine at the Foundation of the Sacred Stream. Joanna integrates these modalities, in her private practice and her teaching, to provide an innovative therapy and a rapid path of transformation. 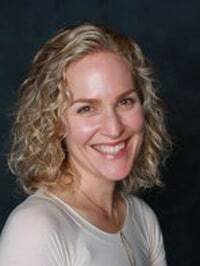 Joanna is the moderator of Mamas Resource Network in San Francisco, and the Founder of the Marin Perinatal and Parenting Group. She teaches on the national level and in the Bay Area on issues related to perinatal mental health, and the spiritual path of service called parenting. Joanna has a private practice in San Francisco and San Rafael, California.